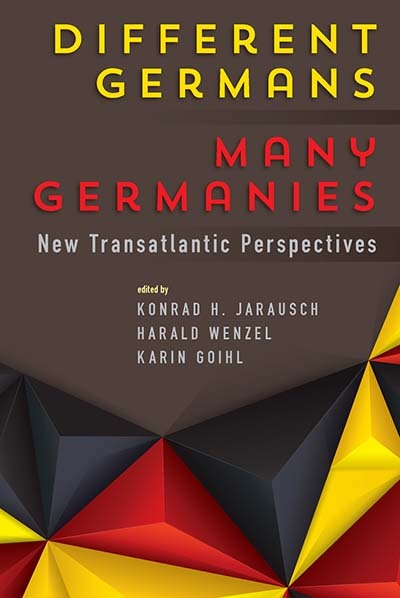 Konrad H. Jarausch is the Lurcy Professor of European Civilization at the University of North Carolina at Chapel Hill. He has written or edited some fifty books on modern German and European history. He has co-directed the Zentrum für Zeithistorische Forschung in Potsdam and co-founded the UNC Center for European Studies. His most recent book is Broken Lives: How Ordinary Germans Experienced the 20th Century (Princeton University Press, 2018). Harald Wenzel is Professor of Sociology at the John F. Kennedy Institute for North American Studies of the Freie Universität Berlin. His research focuses on sociological theory, the sociology of mass media, religion, and catastrophes. Publications include Die Abenteuer der Kommunikation: Echtzeitmassenmedien und der Handlungsraum der Hochmoderne and George Herbert Mead zur Einführung. Karin Goihl is Academic Coordinator of the Berlin Program for Advanced German and European Studies at the Freie Universität Berlin. She holds an M.A. in North American Studies and Linguistics from the Freie Universität Berlin and has served the Berlin Program since 1998. Chapter 10. Germany’s Approach to the Financial Crisis: A Product of Ordo-Liberalism?